Why not imagine you’re someone else, speak in another voice, from another time, from another side of the gender fence, perhaps – just do a switch. I’d suggest locating the new you by voice, rather than by trying to construct a character entirely from the outside. First jot down some fascinating words. Maybe you’ve found them in an Elizabethan poem or in the translation of a Peruvian novel. Now imagine ‘you’ have turned up from another story, it could be from history, art, literature, fairy tale, music, whatever excites. Now speak (write) ‘your’ version of a small moment imagined from that story, pulling in the vocabulary you’ve previously jotted down. You can find an example in my poem ‘ Just a short note from the watchman, another minor character’ on-line in Trout 17. I’m writing a short sequence called Footnotes to the Oresteia and the watchman emerged, speaking in a surprisingly elaborate fashion. I have to say that I love him to bits. Bernadette Hall taught at the IIML in 2011 while Chris Price was in Menton. She also edited the Best New Zealand Poems that year. 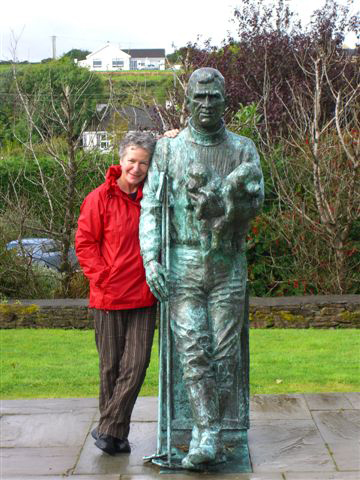 As a curtain raiser for National Poetry Day on 27 July, Writers on Mondays will introduce a baker’s dozen of the 25 poets whose work was chosen by Bernadette. We welcome Hera Bird, Zarah Butcher-McGunnigle, Janis Freegard, Rob Hack, Dinah Hawken, Anna Jackson, Helen Lehndorf, Kate McKinstry, Bill Manhire, Harvey Molloy, Marty Smith, Ranui Taiapa and Tim Upperton. Full WOM programme details here. The title of this book is a double superlative whammy and does a good job of attracting attention. The big question, of course, is that having gained attention, does the book sustain and reward it. My simple answer is yes, and I’ll explain why. you heave a sigh of relief. We were pleased with the review, which at seven pages in length is substantial. But we were particularly interested in Terry Locke’s comments on the poets’ own commentaries, which from the beginning have accompanied BNZP’s annual selections. This kind of commentary functions as an interpretative cue. Juxtaposed with the poem, it enters into dialogue with it and the ensuing relationship contributes to a reader’s meaning-making process. . . for me, the commentaries were irresistible, contributing enjoyment and enhancing engagement with each poem anthologised. If you’d like to subscribe to the Journal of New Zealand Literature, you can do so through their website. The current issue is particularly lively, with reviews, learned articles, thoughtful polemic, and a piece of memoir from current NZ Poet Laureate Ian Wedde. 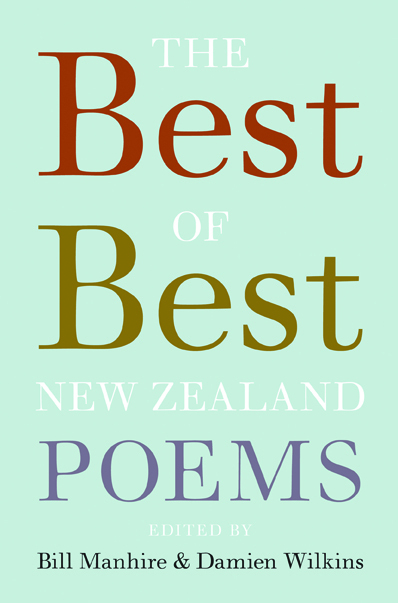 You can listen to most of the poets in The Best of Best New Zealand Poems reading their poems here and full information about the anthology is here. On 23 July as a curtain raiser for National Poetry Day on 27 July, Chris Price will introduce a baker’s dozen of the 25 poets whose work was chosen by Bernadette Hall for the 2011 issue of Best New Zealand Poems. We welcome Hera Bird, Zarah Butcher-McGunnigle, Janis Freegard, Rob Hack, Dinah Hawken, Anna Jackson, Helen Lehndorf, Kate McKinstry, Bill Manhire, Harvey Molloy, Marty Smith, Ranui Taiapa and Tim Upperton. Check out the full Writers on Mondays programme here.